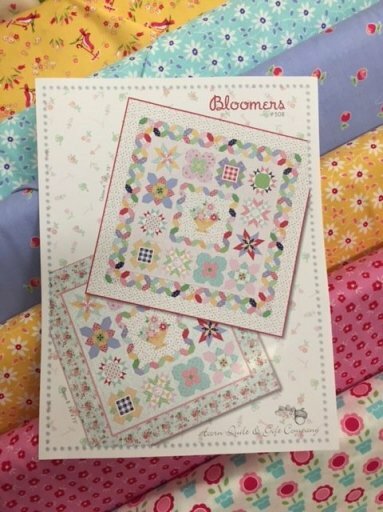 Sign up for the Bloomers Block of the Month now and reserve your spot for the monthly kits. Sign-up fee is $45.00 and includes first month's block (center basket). Join our "Friday Night Bloomers Club" and meet once a month for a sit-and-sew on your Bloomers blocks--free to all who are working on this beautiful quilt. We will have demos on that month's block, sewing and dessert. First block is available Friday, May 29th. (For full schedule, click here.) We have a finished quilt top on display in the shop. Stop in and see these bright and cheery fabrics from Lakehouse! BLOOMERS Block of the Month--AVAILABLE MAY 29!